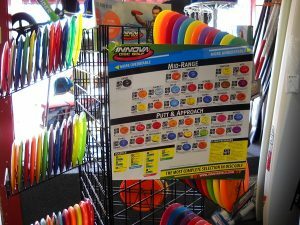 Disc golf, or frisbee golf as it’s also called, is a great recreational game that people of all ages and skills can play. As the name suggests, disc golf simulates golfing for the fact that you approach each hole from a tee station and work your way towards the basket with each toss of your disc. At it’s core at the novice level, that’s the entire game! For the advanced players you can find yourself totally immersed in disc sizes and throwing techniques. 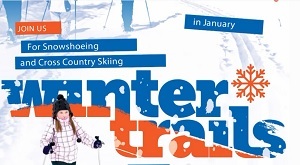 Here at Brampton Bike & Ski we cater to those advanced players as well as families and individuals. We offer combo packs of discs that include a putter, a mid-range disc, and a driver. 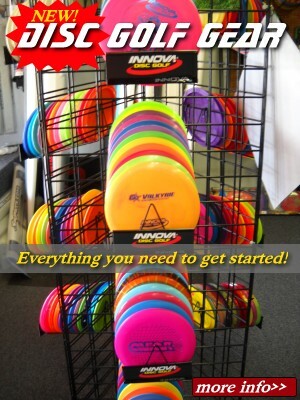 This is an excellent starter package that provides the proper disc sizes for anyone looking enjoy this fast-growing sport. Of course we also offer single discs for those who are customizing their gear or maybe just want to sample disc golf for the first time. 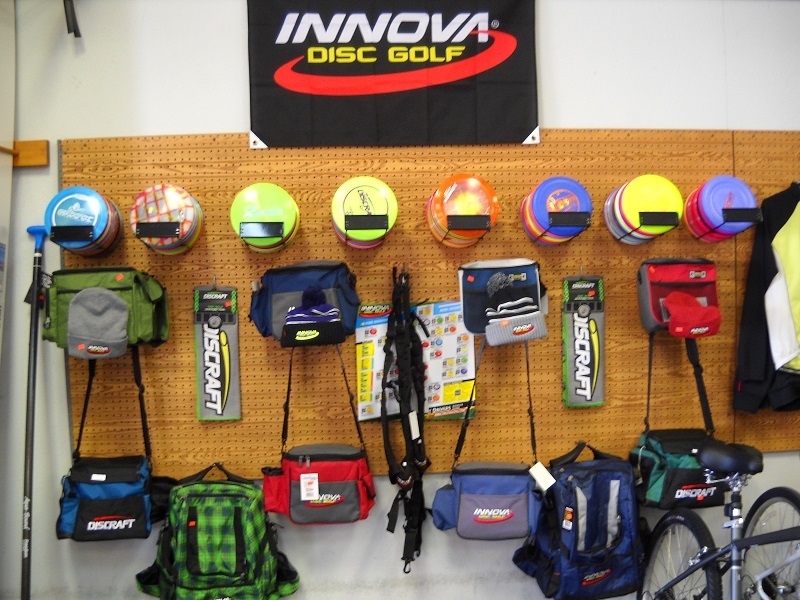 We also carry a complete line of disc golf bags from Discraft and Innova. These bags are the perfect companion to your collection of discs. They securely hold all of the discs in one place providing quick and easy access. Not sure what you need to get started? We can offer our own expertise when you stop by the shop. If you’re looking to create your own course we also carry the main component, the regulation baskets. Whether you’re looking to spend a leisurely afternoon with friends and family or a competitve round of disc golf, we have the gear to get you on the course. And what’s better than having two local courses? Pioneer Trail park offers a very scenic disc golf course and Escanaba offers Ludington Links situated conveniently in Ludington Park.